Attendees of CEDIA Expo 2018 can see a live demonstration of System Integrator 2018 by visiting D-Tools in booth #2614. 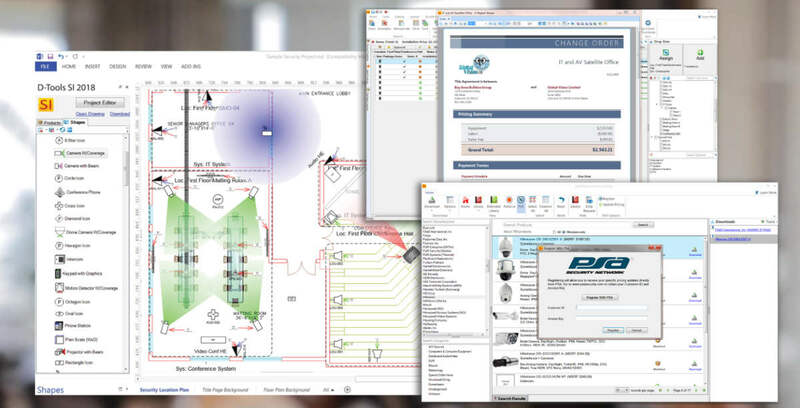 D-Tools, Inc., a system integration software company, recently announced the availability of its newest version of its System Integrator (SI) software–SI 2018. Specifically designed to fulfill the diverse needs of system integrators and technology managers, System Integrator 2018 ties project workflows together into a singular, data-driven, connected process that improves operational efficiency while reducing time and costs. Project and Catalog improvements allow D-Tools users to clone products and labor items when adding accessories or items to a package, further streamlining the proposal generation process. Service Orders can also now be created for archived projects. Lastly, Mobile Quote has been enhanced to allow multiple packages to be added at once to a project. SI 2018 provides users the option to accommodate use tax in their catalog and project pricing. Now, taxes can be applied to the unit cost of products. Margins and markups can include or exclude use tax, providing greater pricing accuracy and flexibility for users in regions where use taxes are levied. To comply with Europe’s General Data Protection Regulations (GDPR), D-Tools has enhanced its password rules and enforcement settings to ensure the security of customer data in accordance with the new regulations. Compliance includes forced temporary password resets, increased password strength requirements, scheduled prompts for password resets, and additional system logging for improved individual user activity tracking. Improvements to D-Tools’ drawing capabilities include support for AutoCAD 2019 and the ability to assign color properties to wires and schematic blocks in AutoCAD, making it easier to represent and follow signal flow and connections. Visio’s off-page reference shape now includes default options for page number vs. page name, providing further flexibility of project documentation. D-Tools’ Visio and AutoCAD integrations leverage industry standards to tie project equipment lists to drawings as part of an integrated project workflow. Attendees of CEDIA Expo 2018 are encouraged to visit D-Tools booth #2614 for a live demonstration.